My wife and I are dabbling in minimalism. Consequently, I will use as few as words as possible for this post. We had too much junk. We got rid of a lot of it. We are happier. You should try it. The end. A 43 word post sounds great to me, but I’ll give you the extended version if you’re interested in decluttering your home and thinking about how that affects your personal finance. Alli (my wife) has been reading some blogs lately (that’s what expecting mothers do!) and was intrigued by a few different concepts that revolve around minimalism. Minimalism can cover a wide spectrum of arenas and there is certainly a range of how “all in” someone dives into minimalism. 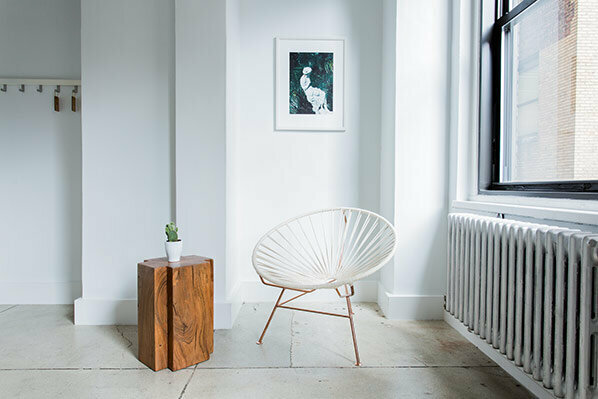 The core idea of minimalism is living with less stuff: less clothes, less pictures, less movies, less books, less tables, less lamps, less tv’s, less Qdoba (ha – not a chance, will never be that hard-core). Our Goal: Alli and I didn’t sign a contract, drink any kool-aid, sell a car, or make any long-term commitment. The goal for us was to declutter the house to achieve less chaos and more peace of mind with a baby on the way within a month. Carve out plenty of time. From our experience, thoroughly taking inventory of a room and removing excess took a couple hours. Our plan was roughly one room per day for a week. Respect the ‘No’. It doesn’t make sense to create more stress in the process of trying to reduce stress. If there were things Alli wanted to keep (really, another scarf?! Kidding honey if you’re reading this…), I respected that decision and didn’t fight it. Alli was kind of enough to do the same (why yes I do need a metric and standard ratchet set in the garage!). Give away when possible. Sometimes organizing a garage sale or finding a buyer is more hassle than keeping it (remember the goal: peace of mind), so giving things away is a great option. Work room by room. Splitting up the house has made it more manageable and given us benchmarks and little successes along the way. It’s hard work to take inventory of what can stay and what needs to go. The hardest part is making decision after decision after decision about keeping or parting ways with an item. Here are some rules that Alli and I followed to make those decisions simpler. The 365 Day Rule. If I haven’t used it or worn it this past year, I probably don’t need it. One year was a time frame that I used. You could use a shorter or longer period of time depending on what your goals were. The “feel factor” – Alli read a book called The Life-Changing Magic of Tidying Up by Marie Kondo which suggested that you know an item should stay when it sparks joy when you pick it up and hold it. If it didn’t spark joy, we found the nearest trash can or donation box. In with the new requires out with the old. This rule is a new concept that Alli and I are trying this summer. If I buy a collared shirt, a collared shirt has to go. If we get a new book, an old one must leave. My thrifty side was a little skeptical of this process because I didn’t know if we would be spending money, losing money, saving money, or making money. Here’s how the experiment in minimalism affected our bottom line. A little boost. Selling a few book textbooks along with some jewelry was a nice payout but nothing significant. A new outlook on the value of things. I found myself debating whether I needed to keep an item simply to justify purchasing it in the first place. After a few rounds of internal debate, I sided with the angel on my shoulder whispering “toss it” and convinced myself that the money had already been spent. I can’t change the expense, but I can change how I manage my stuff now. A different perspective on belongings. Going through the process helped us better define what are needs, what are wants, and what is extra. We’ve achieved a place where our spending will undoubtedly be lower in the foreseeable future based on the convictions we formed the past two weeks. Do you think dabbling in minimalism would be good on the budget in your case? Any tips of managing the steady accumulation of stuff? If you find getting rid of something is hard (think: t-shirt you’ve owned since high school or your punk rock cassette collection), take a photo of it. It’s very freeing and somehow makes it easier to let go because now you have an image of it, even though there’s about a 99.9% chance you’ll never look at the photo in the future. There’s some psychology behind this somewhere. Keeping things just to justify the value is my biggest struggle. I can toss pretty much anything out, as long as it was used an amount that made it “worth it”. But the things I bough and rarely used? Those will follow me around for years because I just can’t let them go until I stop caring about all the money I’ve wasted.on them. But you’really right…”the money has already been spent”! Nothing good comes from years of guilt. I’ve already changed my habits, so why dwell on it? Thanks for just the right wording to make me finally give all that stuff away. We moved for a short period of time for work and needed to rent out our home for a year. We decided to keep only what would fit in one small room in our basement. Initially I was stuck, but after reading Marie Kondo’s book I was all in. I had about six months to prepare for the move, so I went gradually. Every day I would put 10 things on the chopping block – donate, sell or trash. Eventually I was clearing 20, 30 things a day because he progress felt great, but the freedom felt even better. I’ll never be a minimalist, but I am definitely not a consumerist anymore. I can’t really think of a situation when minimalism wouldn’t be helpful for your budget- it’s what’s helping me save for a tiny house! A great quote that comes up a lot in the minimalist community goes something like this “Having less stuff is great, wanting less is even better.” If you can get to a place where you don’t need the next big bright shiny ‘thing’ to be happy, then you’ve made it to the ultimate purpose of minimalism. Thanks for sharing your experiment! Splitting room by room was a great method for us. What really helped was asking, “does ____ bring value? How?” We were able to let go of things easier that way. We also get into purging moods and go back through different parts of the house. 6 months later we still find stuff to throw or donate. Gotcha, purging is ongoing esp clothing and linens, got rid of extra plates and lots of drinking mugs. You all are so fortunate to learn the lesson that less is more — at least twenty years younger than most of us. We are by no means minimalists, but I like to try to keep things simple. It helps me to think through all aspects of a purchase or acquisition (freebie on craigslist, gift, etc.). We recently bought a home and had little to furnish it with. At first, I thought we “needed” so many items. But as we began to fill our house, I realized that we really didn’t, and that each item would require work (dusting/cleaning, keeping our son from destroying, use). It helped to curb a desire for more to remember all the work that goes into each additional item in our house! I’ve been trying to declutter for over a year. I see my house and its objects as a giant sand pile. I fill box after box with things and get rid of them. It feels great at first, but then the “sand” just seems to pour back down to fill the void and it seems to be just as cluttered as it was before – and without any extra purchases. It’s disheartening. I know, though, that one day the sand pile will be small enough that only a few grains will filter down and I’ll have finally succeeded. Good start. I’ve been on this road for a few years. Always kept stuff just because. You’ll probably find after a few months, it’s time for another round of decluttering. The first time through I kept stuff, but with time I’m more willing to let go. It’s been wonderful. My house is calmer, cleaner and just all around more pleasant. With time I’ve let more and more go. Good luck. Better to do before baby. Things will be chaos enough after baby comes. Decluttering (after downsizing and purging unwanted stuff) is a twice a year activity. If clothes aren’t worn after a season, then donate. Kids create clutter (more furniture, clothes toys, etc.) We are child free and minimalists. I am OCD organized, oldest of four (retired now) and everything has a place. As a kid, my toys, etc “had a place” and I was always picking up for the younger ones. I knew then child free was my choice before I grad. from school. Much of our stuff incl kitchen items, some clothing, linens, go to group homes in my area. and here I was thinking you guys were getting into Philip Glass, Steve Reich and Michael Nyman! (sorry, I’m married to a gal with a PhD in Music Theory). I tried minimalism for a while, but I realized it just wasn’t for me. There’s nothing wrong with decluttering, but I found that I threw out far too much. Inevitably there would come a day where I needed the exact item that I’d tossed out! So full-on minimalism doesn’t work for me, but I think a quarterly evaluation and purge is good for the soul. I was more or less forced into this. I had a 3 week window to move from west coast to east coast, and it all had to fit into one pod b/c I wasn’t going to pay for two. Beloved book cases, couch and assorted furniture had to go. I kept only the necessities and things that I wasn’t willing to give up, i.e. antique trunk I refinished myself, my bed, for obvious reasons, a dresser and a couple of chairs. It was strangely freeing. I’m currently in a studio apartment debating on if I need to buy another house. Less = freeing, I agree. Is the studio apt too small or?